Unimax installs a Screen Truepress Jet L350UV digital label press with Jet Technologies. Unimax help brands stand out by designing and manufacturing quality labels for New Zealand businesses. High speed digital label printing for increased throughput. Jet Technologies was brought in to consult on the Screen Truepress Jet L350UV with the assistance of Screen GP Australia and installation by Fujifilm NZ with after sales support. 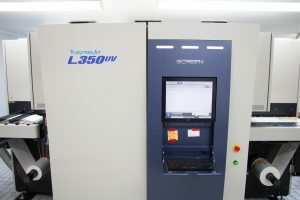 The L350UV offers a modern addition to the Unimax business, that was previously only printed conventionally.